Facials are no longer just for women. Men also need and enjoy the benefits of maintaining a good skincare regime. Visiting a spa for regular facials is the best way to keep skin smooth, moisturized and blemish free. There is no magic pill to staying young, but facials provide the next best option. So where is the man on the go to turn for the best facials for men in Manhattan? The answer is easy, Dyanna Spa which offers a relaxing setting, away from the distractions of the day. 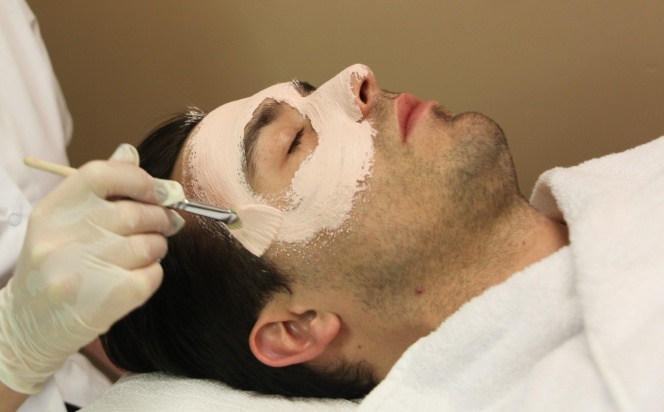 A place where men can enjoy facial treatments provided using only the best,all-natural care skin products. Men are now fully aware that they too need to revitalize and rejuvenate their faces regularly, to main youthful and clear skin. Scheduling facial treatments on a regular basis is an important part of your overall skin care regimen, so call us now for an appointment. We guarantee you will see the benefits immediately. Dyanna Spa now has two convenient locations offering our professional facials. One is in downtown Manhattan, in the Gramercy Park and Flatiron District, and the other is in east midtown Manhattan, in the Murray Hill District. At Dyanna Spa they take care of everything, from exfoliation to deep pore extractions. From effective hydration to soothing facial masks. They have reasonable rates that will leave you satisfied with the service and price. And each treatment is gentle enough to allow you to return right to work. And no one will be the wiser that you just had the best facials for men in Manhattan.